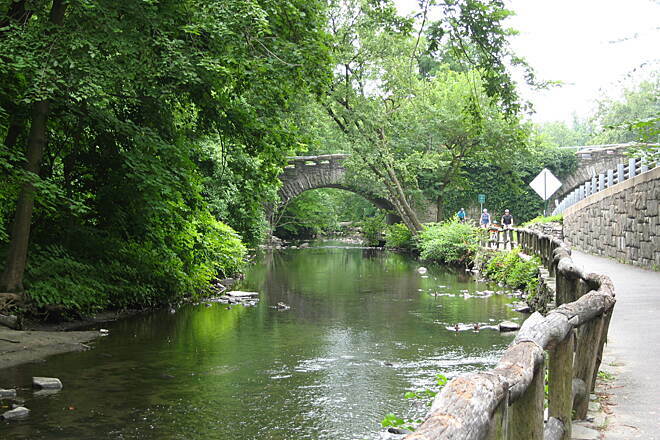 The Bronx River Greenway offers 23 miles of paved pathway in New York's Westchester and Bronx counties. The developing trail is open in disconnected segments largely paralleling the Bronx River Parkway. The pathway is part of the Bronx River Reservation, an 807-acre linear park that was established when the Bronx River Parkway was being built. The road opened in 1925. 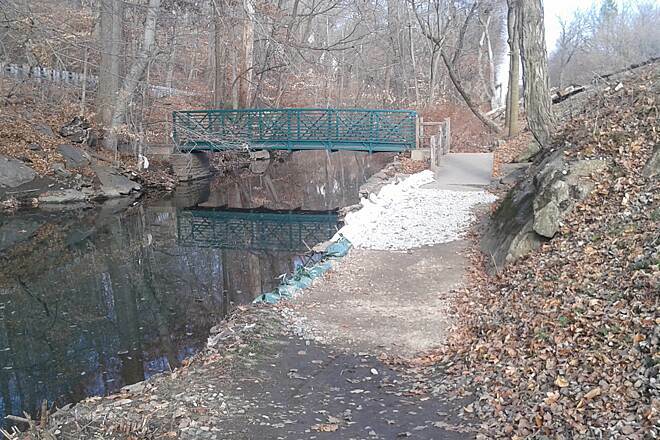 The pathway's paved sections include: a 1-mile loop near Oak Street in Mount Vernon beginning and ending at Oak Street; 4.6 miles between Palmer Road in Bronxville and Crane Road at Scarsdale Avenue in Scarsdale, with a loop around the small lake in Bronxville; 5 miles between Greenacres Avenue in Hartsdale and Kensico Dam Plaza in Valhalla; as well as several miles east of Woodlawn Cemetery, along Bronx Park, and through Starlight Park and Sound View Park. 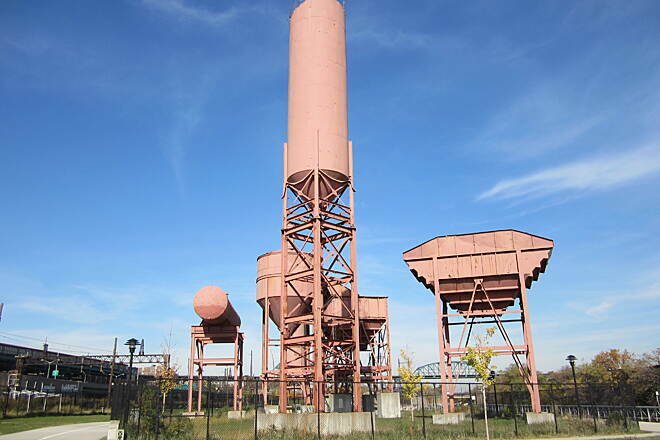 One of the more unusual sights along the way are the tall silos of Concrete Plant Park, which pay homage to New York City's industrial past. 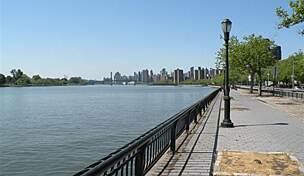 The seven-acre site also features a boat launch, waterfront promenade, and chess tables. During spring and autumn, portions of the Bronx River Parkway are closed to motor vehicles, making a nice alternative to the path for bikes and other trail users. Parking is available in nearby Metro North train station parking lots and in the Westchester County Center parking area in White Plains. Parking fees may be applicable. I too have reviewed this trail over a year ago and have news. The Scarsdale section the trail which has been closed for repairs for over a year and a half has recently opened, and for all that time and god only know how many hundreds of millions were spent only a mere 50' of the trail has been repaved. WTF? 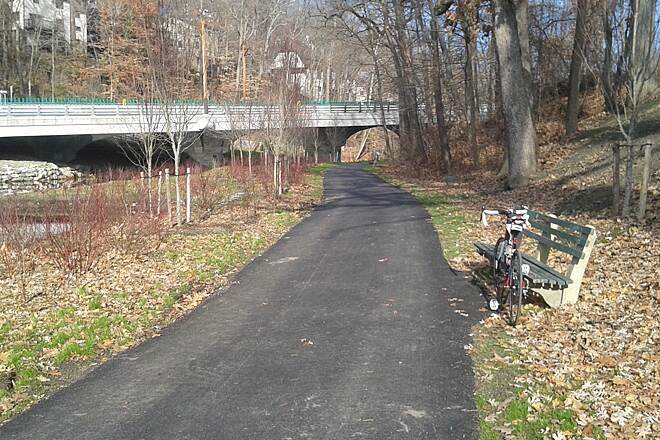 The 50' of newly paved trail just south of the gothic buttress supported "Crane road Bridge" looks great but the 50' just north of the bridge, is un-bike able. See photos I have uploaded. How much does it cost just to pour down some stupid asphalt for 50 more feet? I had submitted a review of this trail 2 years ago. It continues to be a great trail to ride from Bronxville to the Kensico Dam. However, the Scardale to Hartsdale segment remains closed. 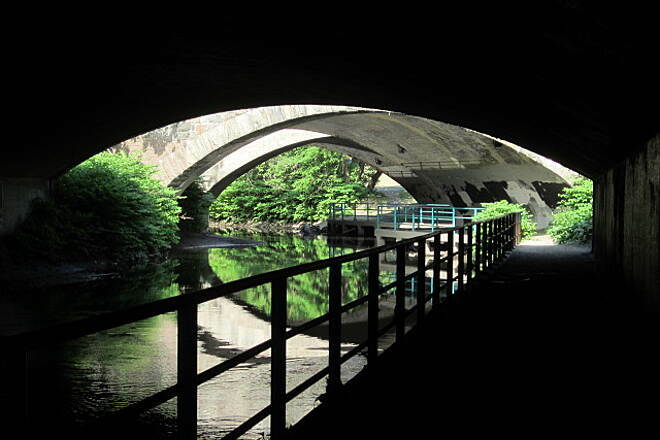 I pass this segment of the Bronx River Greenway frequently and decided to check it out. The part that flanks the river is fairly short. There are some side trails that take you through the Bronx River Forest. You can do a short loop by getting on the trail on one side of the bridge then coming out of the park on the other side. The trail is paved in some parts, dirt in others. There are some sandy parts too. There are some areas where you can stop and enjoy the river. 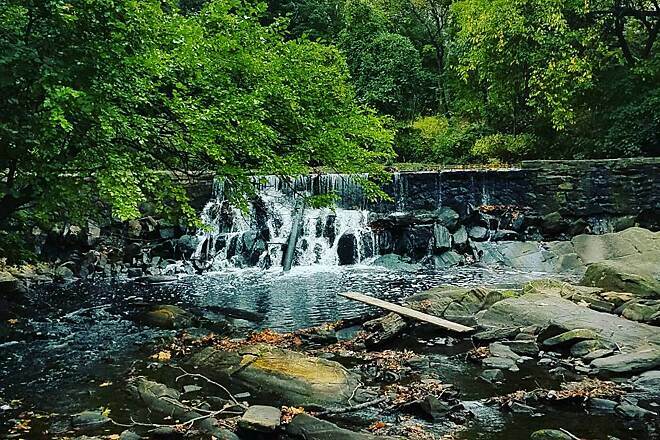 The more northern parts of the Bronx River Greenway are much more scenic. The reason I give this section of the Greenway 3 stars is that it isn't along the most scenic part of the Bronx River. However, the parks are really nice and offer a lot of places for chilling. They are easily connected by a bike lane along the Sheridan Expressway. The Starlight Park entrance is located adjacent to the West Farms Bus Depot. If you ride through Starlight Park, just beyond the boat launch, you'll see the exit to the Sheridan Expressway service road. If you ride along the service road, for approximately an eighth of a mile, you'll reach Westchester Ave. (elevated train tracks). Right across the street is the entrance to Concrete Plant Park. You can't miss the large salmon-colored structures. The entrance is also located near the Whitlock Ave. stop on the 6 train. If you find yourself biking in the South Bronx, it's worth the trip. Disregard my earlier post on this topic. You can hit the South Trail much earlier from Palmer Road after riding only 1.25 miles. I suggest you ride this short distance on the sidewalk, there is no shoulder on Palmer Road. The traffic is very fast and very busy. Right turn onto Palmer Road (sidewalk)heading Westbound and you soon climb a very big hill. Around 1-1/4 miles you have to cross the street. Either enter the street from Kingston Avenue by bearing left, not a full left. Or, you can take a stairway down on the overpass. You will see the trail at the bottom of the overpass. I came across the answer to my earlier question in Zoya's posts. 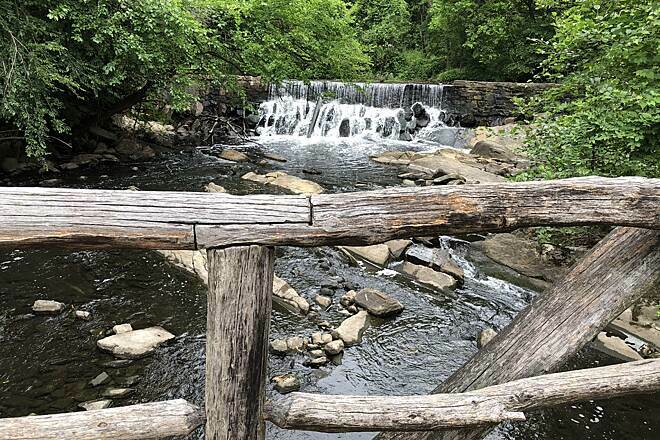 When you reach the end of the Bronx River Parkway trail in Bronxville you have to ride 1.7 miles on roads to reach Tibbets Park where there are several places to get access to the South County Trailway. I took Zoya's instructions and added distances to help find this Park and thought I would share with anyone else interested. Left onto Mile Square Rd for about .53 miles. Left onto Yonkers Ave for about 160 yards. About two weeks ago I cycled along the trail to the Kensico Dam and there is construction going on that interrupts cycling. Along Fisher Lane, which runs along the White Plains North Railroad Station is where the construction begins and it runs about 100 yards north. The construction is to restore wetlands that were overcome by intrusive vegetation. You can find out more about it by doing a Google search. The paved trail was torn up and I went the day after a rainstorm. I had to walk through mud and water for 100 yards until I reached a paved section. I have no idea when the construction will end but they ripped out a large area, removing all vegetation up to the Parkway west of the trail. Hopefully the stretch will be paved soon. I would avoid the trail when the area has received recent rainfall else be prepared to trudge through mud, I could not bike it. Unfortunately no, the bike path ends at the Kensico Dam. I too wanted to cycle well beyond the dam heading northbound but it is too dangerous. If you cycle to the top of the dam on the west side of the dam, there is a road that heads north, along the reservoir. The road has a narrow shoulder on the northbound lane, no shoulder on the southbound lane. Cars travel very fast along this road, and I was not comfortable when being passed. I took the road about two miles northbound and then returned. I don't know if there is a trail somewhere north of the dam, but you don't want to ride there. The east side of the dam also has a northbound road that has the same situation, narrow shoulders and high speed traffic. I also had a question, someone yesterday told me the Bronx River pathway extends from Bronxville all the way into New York City. Does anyone know were to access it exactly from Bronxville? I believe there may be a pathway all the way to NYC but it is not listed because most of it is unpaved. Only in Mount Vernon is there a one mile paved section. Does anyone know if this trail can extend past Valhalla? 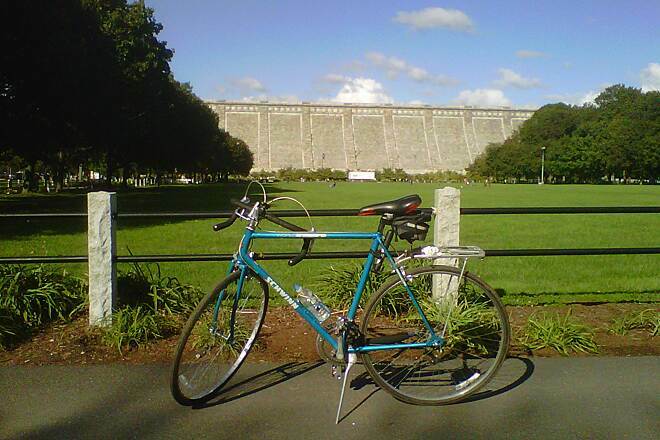 I bike south to north from Eastchester/Crestwood and end at the Kensico Dam. I want to take it further up. Someone told me it can go all the way to Carmel. Any truth to this? Please advise. Where can I go past the Dam? 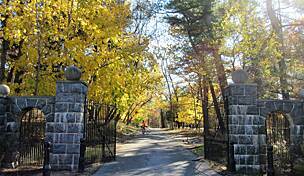 My friend and I rode the trail from Bronxville to Kensico Dam. The trail is picturesque, following along the Bronx River. There are numerous wooden bridges to cross and underpasses to maneuver under. Bring a camera, as there are many good photo ops. The trail was interrupted in Scarsdale, near the Scarsdale train station. To get to Hartsdale where the trail resumes, exit the train station and take a left to cross over the bridge. Take an immediate left at the light to ride through the Village. There are shops and restaurants there. When you get to where the Bronx River Parkway entrance ramp is, bear right onto Crane Rd. Take an immediate left onto Fox Meadow Rd. You'll ride through a beautiful neighborhood. Next take a left at the light onto Fenimore Rd., which heads toward the Hartsdale train station. Do not cross over the bridge that goes over the train tracks. Look for the Hartsdale welcoming sign. Take a right into the train station parking lot. At the end of the parking lot, bear right, cross over the bridge, then take a left onto the trail. Bear left to cross over the wooden bridge and you're on your way. That detour takes about 10-15 minutes. The trail can be confusing because it sometimes goes on both sides of the river. There are some areas where you could keep doing circles if you keep crossing the wooden bridges. You might want to make mental notes as you go. There are several road crossings but for the most part, there are brown trail signs fairly visible to get you back on the trail. The Kensico Dam Plaza is really cool. You can see the dam looming in front of you. There are bathrooms there. On a Sunday, there might be a flea market and food too. I just did the trail and it looks like any problems with bridges (from last reviewer) have been fixed. Great 10 mile loop along the river. I did have trouble finding the start of the path at the Kensico Dam. 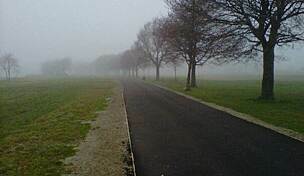 The best way to describe it is if you have your back to the dam, the path starts at the bottom left corner of the park. You have to cross the road to start the trail. I also had a bit of trouble finding where the path picked up at the White Plains train station. You have to look for the path right alongside the train tracks. Very fun ride all in all. A wonderful and challenging trail, 2nd segment is exciting, keeps you on your game! This trail really such a gem, considering the proximity of the highway which was the first parkway in the country. It's easy to get to as I biked from Danbury to Brewster and took the train to Valhalla. 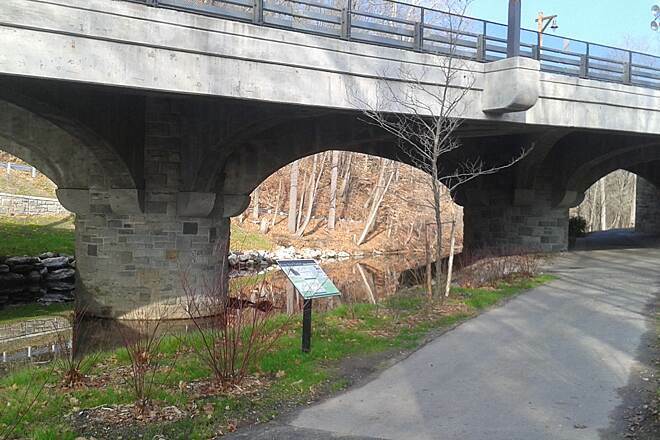 The trail starts at the Kensico Dam Plaza, just east of the train station. This first 5 miles wasn't my favorite part of the trail, but it is really beautiful. There are a lot of floodplains and long, straight visibility for all trail users. There aren't too many trash receptacles or benches but the grow more plentiful at the end. You bypass the North White Plains and White Plains stops without seeing too much of the city at all, which has its positives and negatives. But this isn't a rail trail, it's a river trail and it naturally follows the river where and when it can. 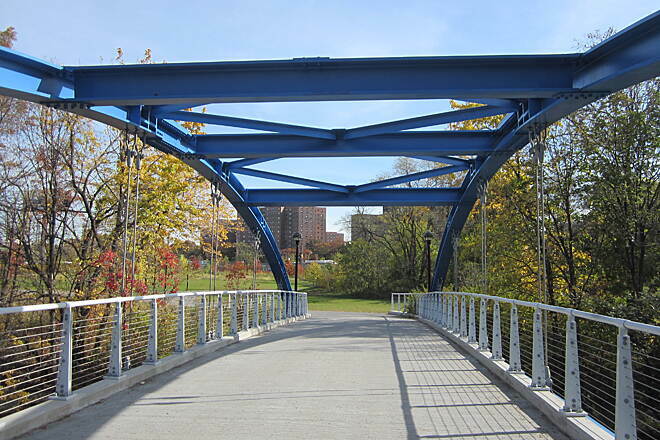 There are a few bridges, some at-grade street crossings, an aqueduct arch bridge that you can climb up inside for amazing architectural views and some on-road rights of way. Almost at the end of the trail is a bridge that is dilapidated and an orange fence stops you, but considering there aren't any nearby streets or signs telling you where to backtrack, it's travel at your own risk. (It's in the spot where the Sprain Brook curve east in an arc nearest to Woodland Place and the other end is the river, railroad tracks and then open space. It's at least 1 mile north to White Plains for the nearest cross street or 1.4 miles south. That's my biggest pet peeve on trails; detour signs with no alternatives. Luckily for me, there was a group of teen volunteers at the other end of the river, chipping off graffiti on the abutment. (You can see my pic of the bridge.) There were 4 planks missing, with 2 perpendicular next to each other that i walked over as i put my bike on the end rail and walked with it. then a bunch of planks and then 2 missing. One teen helped grab my bike while i jumped over. The 1st segment ends at Greenacres Street in Hartsdale. Take a left on Greenacres, then a right on Walworth Ave which becomes Fox Meadow; a nice residential and quiet street. At the end, make a right on Crane and a quick left on "East Parkway" which is little more than a narrow street, incorporated as a parking lot within the Scarsdale Train Station. The other direction is a one-way but wider. This is the tricky part of the trail. If you make your next right on the main road, you'll see the trail under you on the right and there are NO signs telling you where to go. The next right won't cut it. Turns out there's a small entrance behind the train station. If you take it to your right, it goes under the highway with some very beautiful bridge abutments in the water and some cool looking bottom sections of the nation's first parkway. 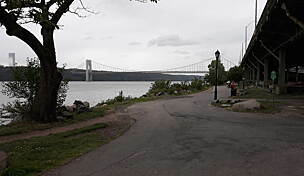 You can continue on along the water, but it's best to walk it as a section is missing and then there's a small, narrow green bridge leading across to the other end, with a walkup to the road with a small opening in the guardrail on Aqueduct Drive. The first 3 miles of this 5 mile segment make the trip very worthwhile. It feels longer than it really is. I would love to do it all the time, it's that fun. It can be very technical as there's sudden drops in elevation or dips that require you to gain enough speed to get back up; a true optical delusion. There's hardly any visibility or straight lines at this point and it's very curvy and you have to be on your game to brake and watch out for trail users. It's pretty narrow here as it's not a traditional 10-ft wide rail trail. 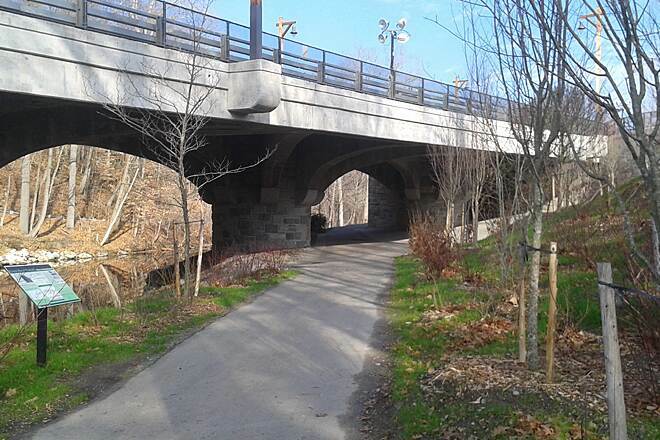 As with the White Plains segment, the trail goes under old stone arch bridges right on the water with railings so you have to watch your speed, turning ratio and if you're tall like me, ride downwards and duck at times. This section also has amazing wooden bridges that look quite artisan like with log planks etc and some waterfalls add to the beauty. Then after a long "S", the trail becomes the oncoming shoulder of the Bronx River Parkway for a short while, before becoming disappearing into Tuckahoe. It abruptly ends at Palmer Avenue and doesn't continue. 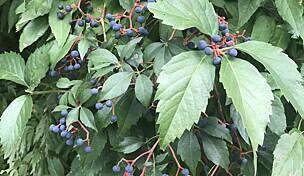 The nearby Bronxville train station is .3 miles away. Left on Palmer, right on Pondfield, right on Kraft. "I see that someone posted that the trail is ""poorly maintained."" That presumably refers to the northern section, after the break in Scarsdale/Eastchester. The section from Eastchester south has always been well-maintained. This section is mostly flat, but curvy, with a couple of areas of not-too-demanding hills. Particularly in the very southern portion, it is hard to ride because of the people; easy goes it is the rule here. As to the section in Tuckahoe on a road, it's not too busy, and was just repaved. There is a well-marked, wide shoulder, but care should be exercised with youngsters." "This trail is poorly maintained, hilly and narrow in many spots. There is a confusing area near the train stations for North White Plains and White Plains. 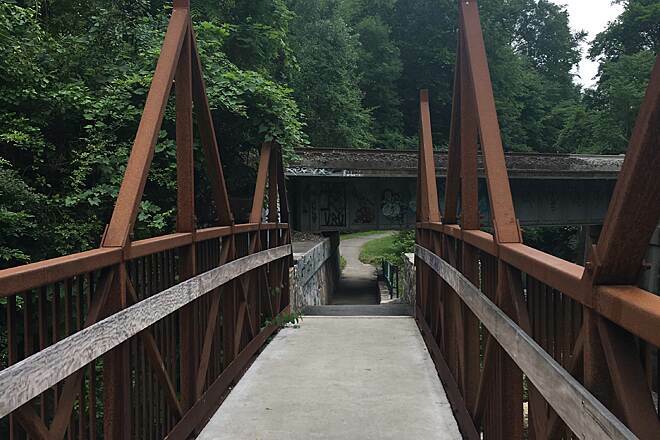 If you insist on learning the trail, stay alongside the train station in White Plains and follow the sidewalk between the train track and the parkway to get to the path. The path winds back and forth around the Bronx River Parkway in some very low, dark and almost scary tunnels. I do not recommend it." 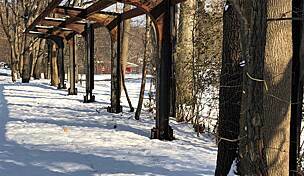 "I rode this trail last week and conditions up to Scarsdale were not the greatest. The county hasn't done any maintenance in years, with the exception of the call boxes. Additional signage is needed for those unfamiliar with the area. I would suggest you buy the Official RTC New York Guidebook (see http://railtrails.tranguard.com/square.asp?tgs=60486:47563752&cart_id=&item_id=104) for excellent directions. 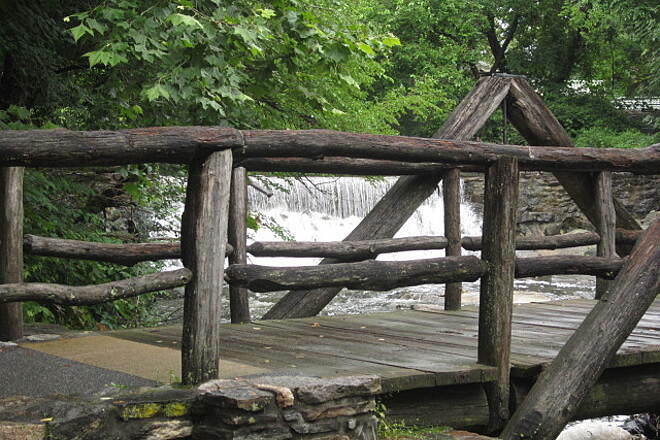 Finding the trail head in White Plains and getting through Scarsdale can be tricky. 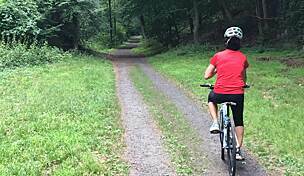 Overall it is fortunate to have a long and easily rideable trail not far from NYC and local comunities." "Unlike the numerous surface types and varying conditions trail users will encounter on the northern section between Scarsdale and Valhalla, the trail surface between Bronxville and Eastchester is completely asphalt, uniformly smooth, and dry. 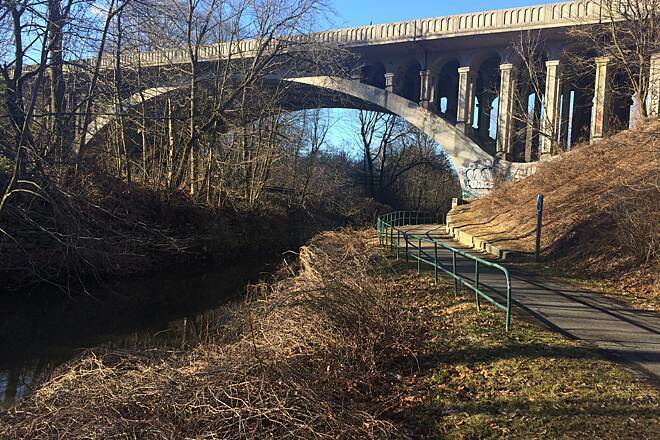 Although gentle hills and winding segments predominate, this section of the Bronx River Pathway will still nonetheless truly delight most bicyclists and in-line skaters. 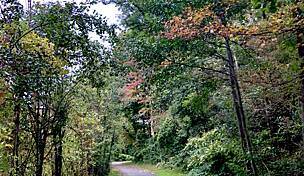 Due to the rather densely populated area this section of the trail goes through, expect to encounter sizeable numbers of trail users on good weather weekend days (especially near Bronxville Lake and Crestwood Lake). Also, parking spaces near the trail on any day other than a Sunday will be at a premium. On Sundays, free parking is available at the three Metro-North train stations along the route (Bronxville, Tuckahoe, and Crestwood). The commuter parking lot at the Crestwood station is most convenient to the trail. 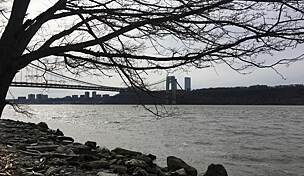 Because this trail parallels the Bronx River Parkway and Metro-North’s Harlem Division train tracks, it can be very noisy at times. 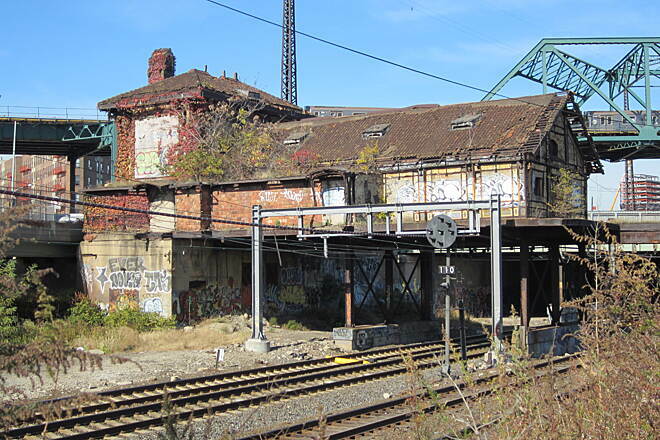 However, the lush wooded backdrop, peaceful Bronx River, charming pedestrian bridges, and expert trailside landscaping will assist you in forgetting about the constant din. Like its sister trail from Scarsdale to Valhalla, there are several extremely busy and potentially dangerous street crossings along this route. One short segment of utilizes the shoulder of a city street in Tuckahoe. Parents with young children should exercise extreme caution. This is a very nice city-located trail for biking, walking, running, or in-line skating. It is completely wheelchair accessible and also convenient to public transportation (Metro-North). Those within a 30-45 minute drive or train ride should not miss it." 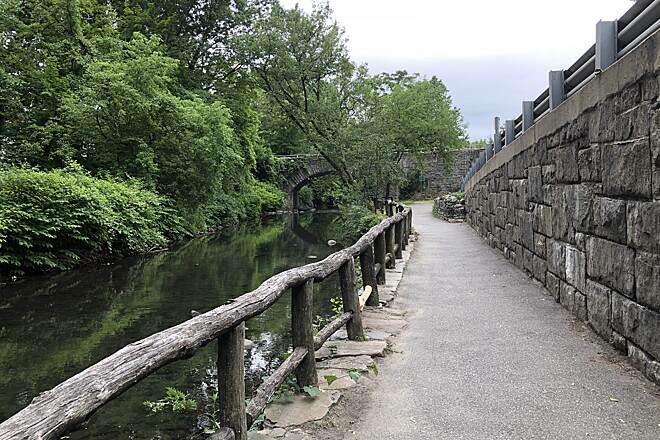 "The Bronx River Pathway's northern section extends from the Kensico Dam Plaza in Valhalla to Greenacres Road in Scarsdale. Parking is available at many Metro-North train stations along the route but it is free only on Sunday in most municipalities. Free weekday and Saturday parking is available in the Kensico Dam Plaza parking lot in Valhalla. You will find a combination of surfaces on this section of the Pathway. About 70% of it is paved, but there are dirt, gravel, and ballast segments as well. In line skaters will not be happy; walkers and bikers should do fine (road bikes stay away - bring your hybrid or mountain bikes only). Expect many curves, steep inclines/declines, and low clearance underpasses. Bikers with expectations of power rides will be disappointed - caution is in order due to loose dirt and gravel in many spots. Also, because of the Pathway's proximity to the Bronx River, expect standing water and/or mud following significant rainfalls. Distance from end-to-end of this section is five (5) miles. Figure 30-45 minutes for a one-way trip on a bike. For families traveling with small children be aware that there are several busy street crossings and required travel through at least two (2) commuter parking lots along the way. 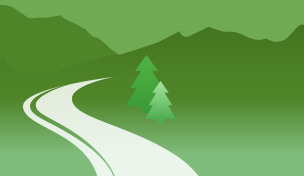 Trail maps are available from the Westchester County Department of Parks & Recreation. If you're within a 30-45 minute drive of this trail, it's worth the trip.